It’s a great joy to combine my passions for graphic design and music in poster design. I have been a devotee of Mitchell’s songs and guitar playing for almost 40 years. 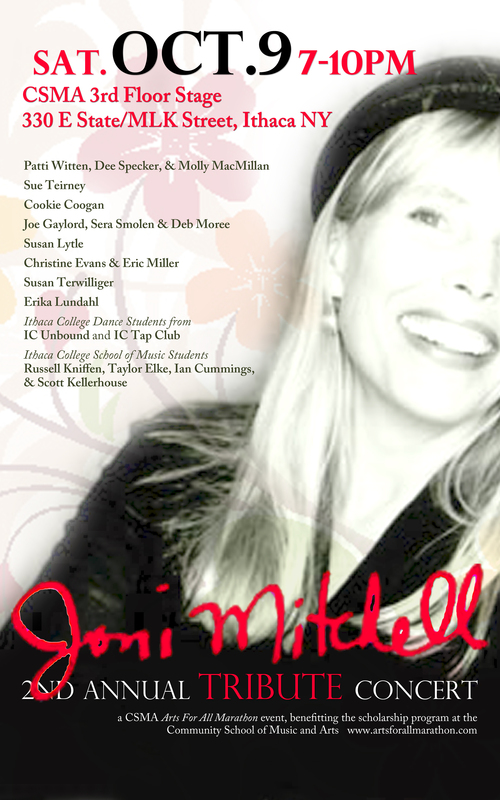 A few years ago I started a tradition of “Only Joni” open mics featuring local musicians performing Joni Mitchell songs. 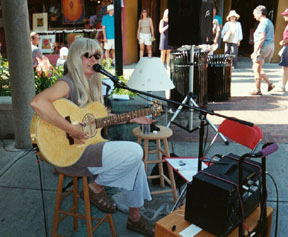 They were the outgrowth of a fun set I performed at the 2002 Ithaca Festival , complete with long blond wig. 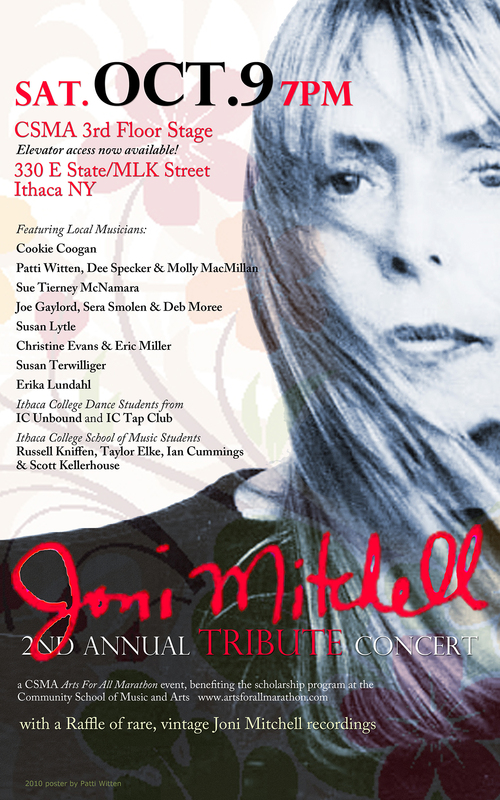 These events were hugely popular and spawned another local tradition, the Joni Mitchell Tribute Concerts benefiting the Community School of Music and Arts, part of their Arts For All Marathon fundraiser held each Fall. I was thrilled to create the posters for these events. 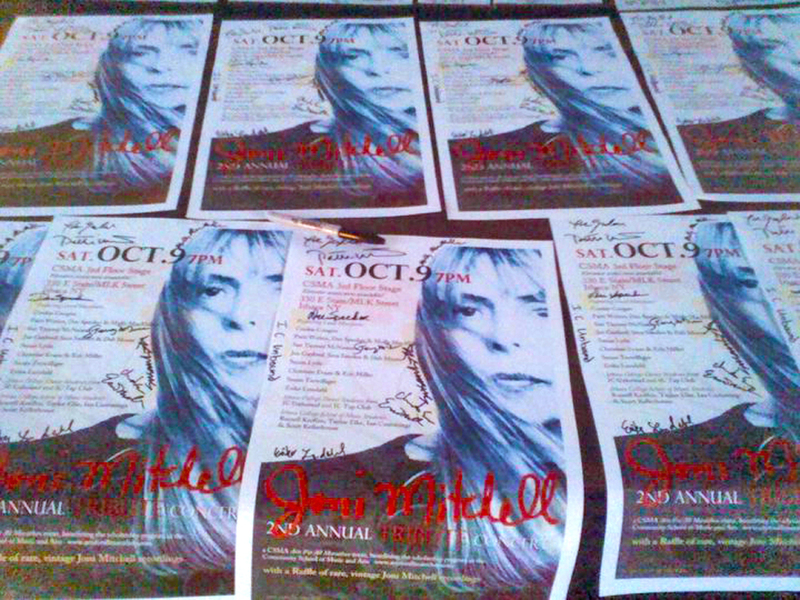 This entry was posted in design, Posters and tagged ads, Joni Mitchell, Poster Design, Posters, singer-songwriter. Bookmark the permalink. Love the posters! 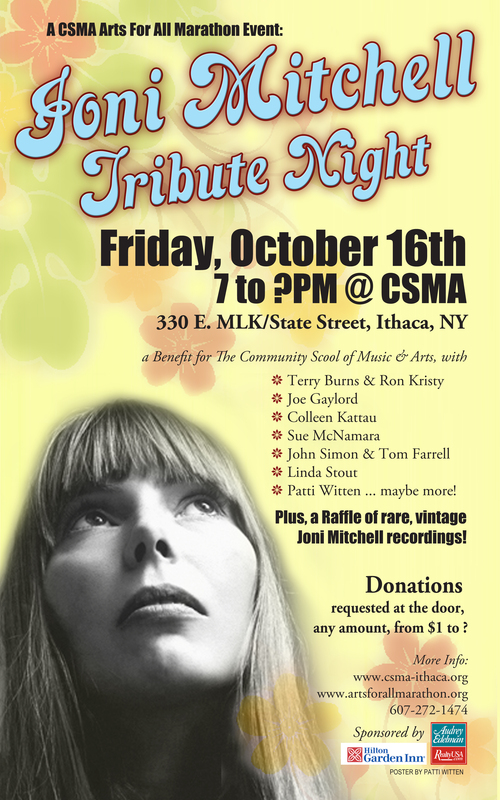 – Thanks for the post about your work to keep Joni’s music active – no small task with the lack of radio airplay on mainstream stations.